My career as a movie reviewer began in March, 1984. I had just managed to land the assignment to write a movie review for the next edition of my high school newspaper, “The Brophy Round-Up.” I don’t know how it happened, me only fifteen, still an underclassman. I had only written only one previous piece, a less-than-scintillating profile of Key Club, and now, here I was, getting a crack at the paper’s second-most-coveted gig (just behind music critic). True, being at an all-boys school, I couldn’t count on my status as the school’s official movie reviewer to attract girls, but still, it beat the crap out of covering cross-country racing. I set out to make a statement with my first review; you know, start things off with a bang. If I knocked this one out of the park, I reasoned, they’d never be able to pry me out of the job. I’d become known as the movie mogul of Brophy College Preparatory. I would go down as the greatest film critic the school had ever seen. And this would be the review that started my inevitable rise to fame. Brimming with ambition, I scanned the movie section in the New Times during seventh-hour Biology. 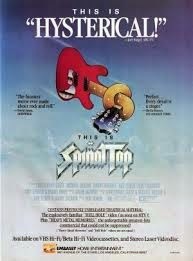 Only three films were opening that weekend: Repo Man, Against All Odds, and This is Spinal Tap. The obvious choice would have been Against All Odds, the Jeff Bridges/Rachel Ward flick. I spurned this idea, even though I liked Jeff Bridges in Tron, and really liked Rachel Ward in Dead Men Don’t Wear Plaid, even if she was in black and white the whole time. Odds was a romance, and I knew I needed something more substantial than some piece of romantic fluff to properly begin my conquest. I needed something quirkier, edgier, less mainstream. So instead, when I arrived at the AMC Village Six multiplex that Friday night, I bought a ticket for Footloose. What? Aren’t quirky, edgy, and less mainstream the first trio of adjectives that pop into your mind when you think of Footloose? Well, before you kick off your Sunday shoes, I only said I bought a ticket for Footloose. Once inside, I promptly skipped theaters, and, as discreetly as possible, found an out-of-the-way seat in the already-darkened auditorium next door. That was where I saw Spinal Tap, along with about two dozen other people that Friday night, half of whom seemed confused by what they were seeing. I was in the other half. I was incapacitated from beginning to end to by successive paroxysms of paralyzing laughter. It was the funniest movie I had seen since Arthur, which was, up to then, the funniest movie I had ever seen on a movie screen. Well, that and Richard Pryor Live on the Sunset Strip. I actually got kicked out of that one, though, halfway through, for laughing too much. It sounds silly to be kicked out of a theater for laughing at a comedy film, but I was only thirteen, and a thirteen-year-old sitting by himself in a theater laughing hysterically at a very R-rated movie was inevitably going to bring the usher down for a closer look at the ticket stub. When the movie was over, I went straight home and began planning my review of Tap. I soon encountered a problem, however. The only name actor in the movie was Michael McKean, who was known for playing Lenny, the tall, satin-jacketed doofus on the TV show Laverne and Shirley. 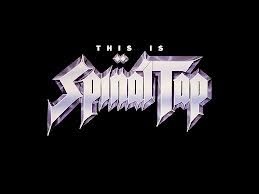 For reasons I still don’t completely understand, I somehow watched all of Tap without it ever dawning on me that McKean was playing the role of David St. Hubbins, the lead singer with the stringy blonde hair. It was disturbing, because I just couldn’t find Lenny’s recognizable face (or voice) in the movie at all. I began to realize I was facing a serious dilemma. I had no idea how to attribute the actors’ performances. Any of them. This might come as a surprise to the uninitiated, but it’s kind of difficult to project a reliable, confident voice as a film reviewer when you can’t even state with any certainty which actor played which character. In the end, I faked it. Of the three main actors in the film, I got none of them right, confusing Christopher Guest and Harry Shearer for each other. I think I named Ed Begley, Jr., as David St. Hubbins. 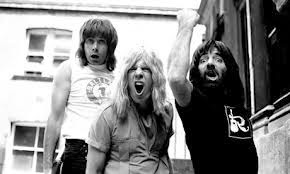 Michael McKean, I decided, must have played the minor role of ill-fated drummer Mick Shrimpton. This was something of a disappointment, I remember writing, as McKean had only two discernable lines of dialogue in the entire film, both of which occurred during the end credits. Artist's approximation of a smudged newsprint ad. is the one with the hat. Note: In my own defense, this was many years before the internet and helpful websites like IMDB. All I had to work with, beyond my own deeply flawed memory, was a blurry newsprint ad for the film that ran in the movie section of the paper. Based on this, I determined that I must have mixed up the whole Lenny/Michael McKean thing, since the only person who seemed to bear even a passing resemblance to anyone from Laverne and Shirley was the drummer, who, in smudged newsprint, looked something like Squiggy (actually R.J. Parnell for Mick, and David L. Landers for Squiggy). I turned in my review the following Wednesday, hoping that the sheer enthusiasm I brought to the piece would be enough to offset my all-too-obvious lack of command over basic facts. Then I waited, on pins and needles, for the next edition of the school newspaper to come out. It was an unmitigated disaster. The editor had made major changes. As I recall, every line was altered in one way or another, most of them drastically. I was aghast. The review that I had poured all my time and energy into, sweated over, carefully weighing almost every single word choice, agonizing over finding just the right adverb or adjective and then revising again and again and again, was not even recognizable to me. This was not the fruit of my loom. To add insult to injury, the only part of my work that made it into print were all the mistakes I made identifying the actors. I took it hard. It was a travesty. It was an outrage. It was a troutrage. In a fit of self-righteous anger, I resigned my position with the paper (actually I just stopped showing up for the weekly meetings), and I swore that I would never allow myself or my work to be degraded by an editor again (a great way to ensure that you are never published, by the way). As swiftly as they began, my movie reviewing days were over. The promising career, the improved social status, the legacy, all gone. Disillusioned with the life of a writer, I turned instead towards my other love: drawing cartoons and comic strips. The career of a cartoonist was the way to go, I reassured myself. Sure, they tended to be misunderstood, but they were also largely neglected by everyone, even editors. Wait. Allow me to correct that. Especially editors. 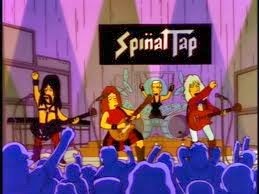 This piece was written in homage to This is Spinal Tap, which celebrated its 30th Anniversary on March 2. 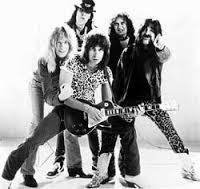 Happy 30th Anniversary, Spinal Tap! You remain a small piece of perfection in a highly imperfect world. You have improved my stay here on planet Earth, and I owe you for that. For those of you who haven’t seen the film, check out YeahTV’s website. In honor of Tap’s 30th, they are making the film available to stream for free, along with access to a whole bunch of interviews and extras. It’s worth checking out, even if you’ve seen the movie before.